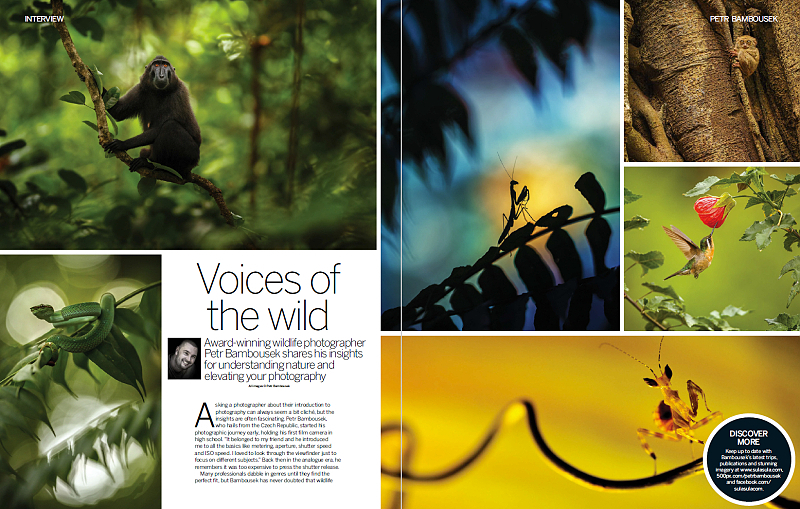 New issue (171) of the Digital Photographer Magazine hits the world today. You can find my portfolio and interview inside. 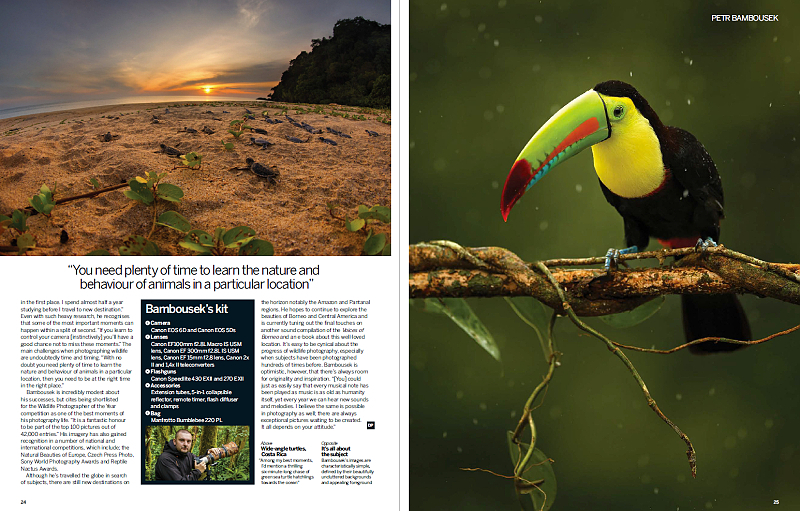 I am a professional wildlife photographer who over the past 15 years undertook more than 40 photo expeditions to tropical rainforests across the world. You may have seen my photos in various exhibitions, on the Internet and many Czech and foreign magazines and books. A number of my photographs were awarded at local and overseas competitions such as the Czech Press Photo, Nature's Best Photography, Bird Photographer of the Year, Sony World Photography Awards, Big Picture Awards, Nactus Awards or the most acclaimed one - the Wildlife Photographer of the Year. 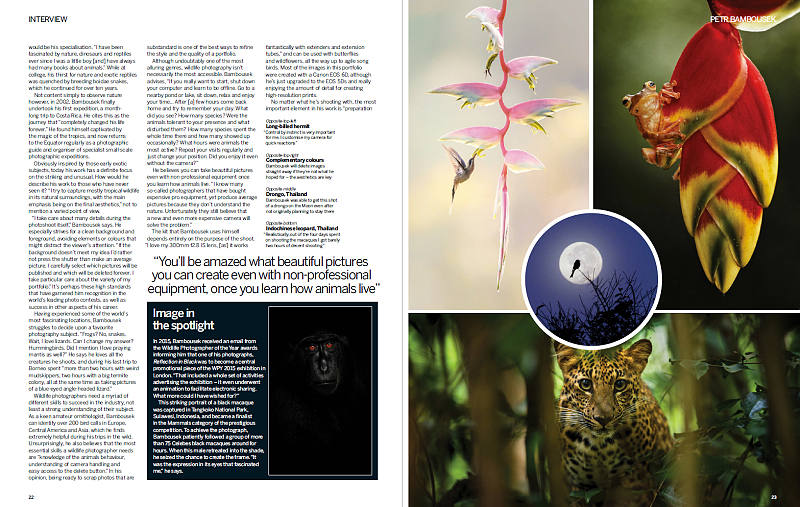 At this particular competition, my photographs were not only in the Final but also, one of my finalist images became a central promotional piece of the whole 2015 WPY travelling exhibition. If you enjoy my work, don’t forget to visit my Photogallery and connect to my Facebook profile.